Nerdy for Birdy: ROM Butterflies of Ontario Field Guide Review plus Bonus Video: Vlogging Entimologists! 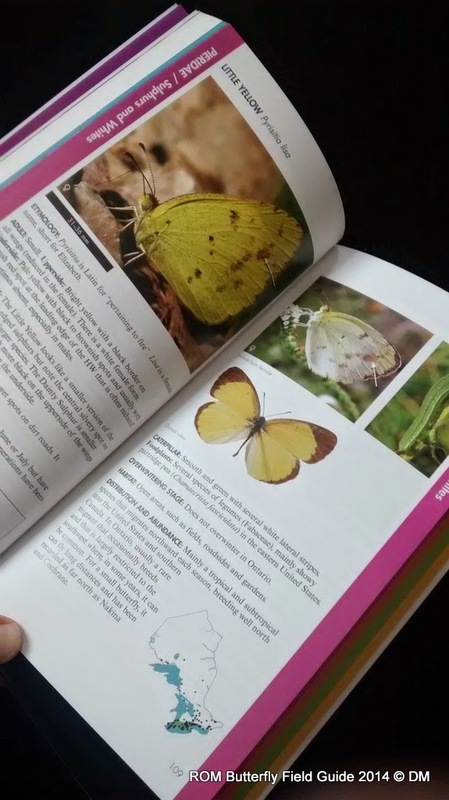 ROM Butterflies of Ontario Field Guide Review plus Bonus Video: Vlogging Entimologists! I recently ordered a copy of the ROM Butterflies of Ontario field guide online and obtained my copy today. I was a little reluctant to get a ROM guide after being a little disappointed with the ROM Birds of Ontario field Guide. 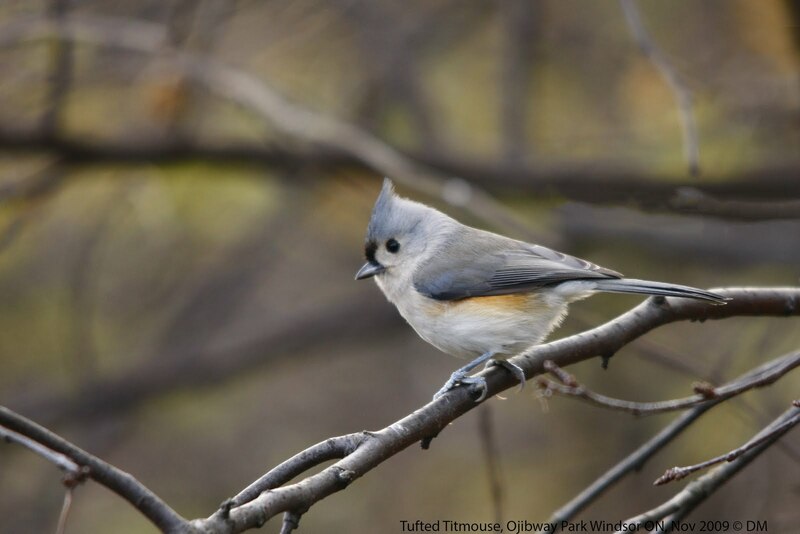 The problem with the ROM birding guide was that only one image of each bird was provided, and that was a shortcoming of that book because birds can have many plumages due to age, time of the year and of course, sexual dimorphism. My initial impression of this book though has been much better. The photography is excellent. The writeups are good and cover lots of information. The range maps are nice - customized to the province of Ontario and even include specific points that the particular butterfly has been found in. Data perhaps garnered from E-butterfly databases and other historic records. The image below shows the first of 14 butterfly hotspots spread out throughout the province. It was great to read about Ojibway Prairie as one of the main featured areas for butterfly watching. 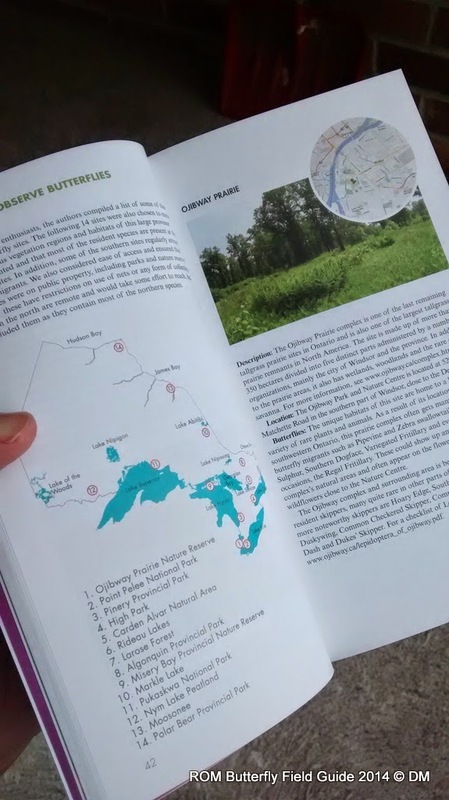 The next page features Point Pelee. Two hotspots in Essex County. Exciting! I plan on making trips out to all these corners of Ontario during upcoming summers. 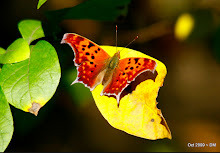 Each butterfly basically has a two page spread that includes great photography of both the dorsal and ventral view of the butterfly, as well as the larval form (Caterpillar). Occasionally, a host plant images is included as well. Range maps and distribution details are excellent. I was wondering if some extirpated species were included in this book, and it seems yes, they are. I think field guides and other books relating to natural history should include extinct and extirpated species, just to remind us of what should be here and to remind us that we need to increase conservation efforts. Well, here is the promised video. Its not really a Vlog (Vlog is short for Video Log or Video Blog), but rather, a recorded webcast... But I just thought it would be cool to say: "Vlogging Entimologists"! Its interesting to watch these two ROM authors just sit around and talk about butterflies in Ontario. Its nice to see the authors behind the books you are reading. Enjoy! One might be curious to know how this guide compares with the recent and excellent Kaufman butterfly guide? 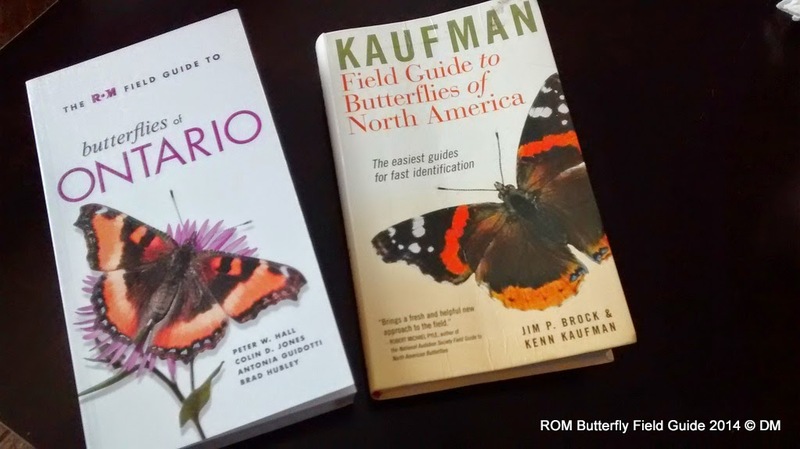 I think they are both great, but the ROM guide simply focuses on the Ontario species whereas the Kaufman guide tackles a much larger area: All of the US and Canada! Its a matter of depth versus breadth. So, since so much breadth is covered in the Kaufman guide, there is not much depth. The ROM guide provides much more depth, but less breadth. Both are excellent. 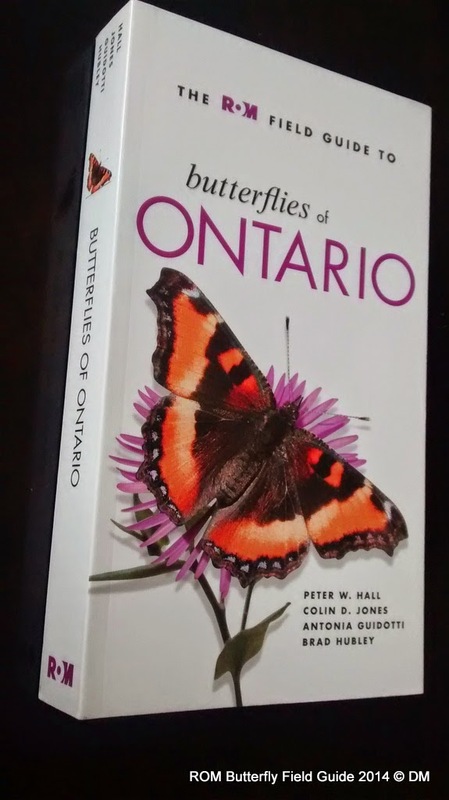 There was some interesting discussion about this field guide on the Ontario butterflies google group. There were some criticisms about inaccuracies in the book or mistakes... perhaps made by inaccurate data entry or mistaken observations. The debates were interesting, and at times somewhat heated... But rest assured it remained civil :-) One butterfly enthusiast made a comment that... (I forget the context of his discussion - perhaps regarding the data discrepencies and the volunteer efforts to fix them) but he mentioned that we are all paid in "butterfly bucks"... Too funny. I plan on reading this book and just leaving it on my coffee table for my kids to flip through. I recommend getting it! 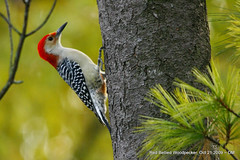 Good Birding & Butterfly watching! At the time of publishing, this book is 37% off the cover price at Chapters/Indigo. See link below. 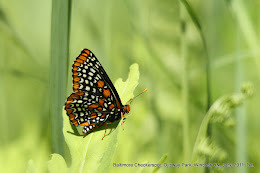 Thanks for your review of the butterfly guide, Dwayne.....I plan to check the book out closely.